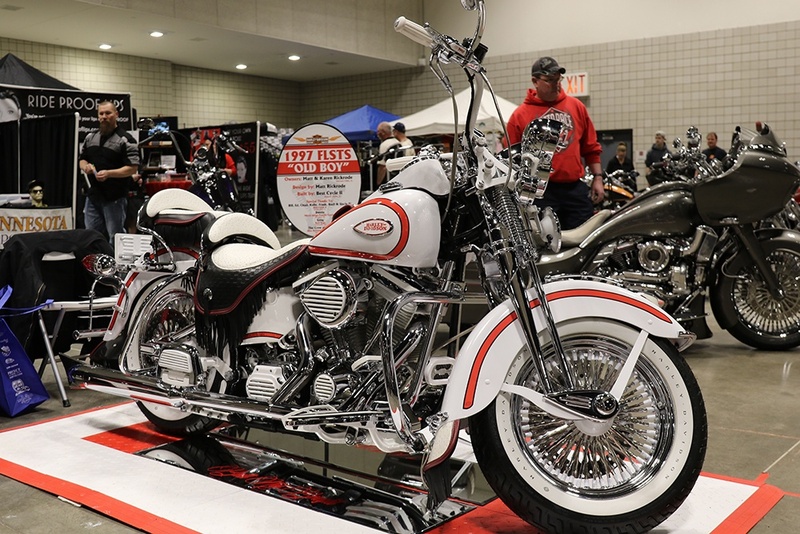 "Midwest is best" is a popular catch phrase around these parts, and the Donnie Smith Bike & Car show is definitely one of the best! This year was my first time attending this show, and it didn't disappoint whatsoever. 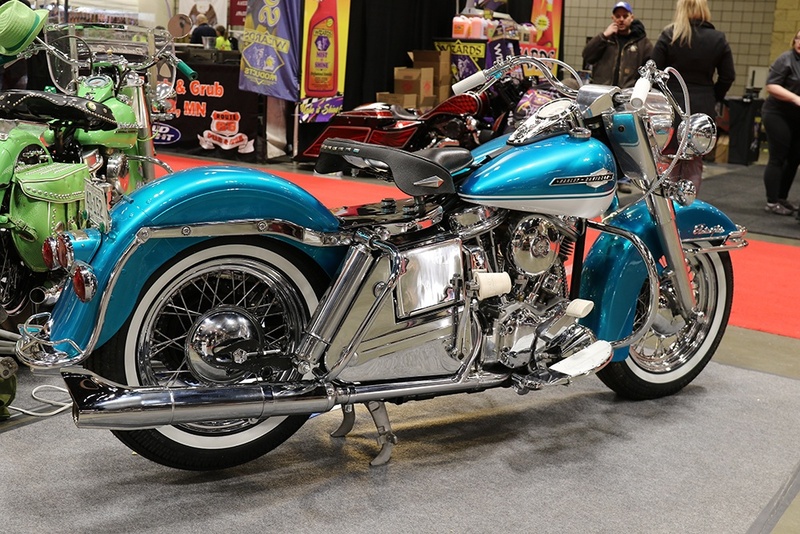 It's been going on for 31 years now, hosted by Donnie Smith himself, a legend in the custom motorcycle world, and a member of the Hamsters!. 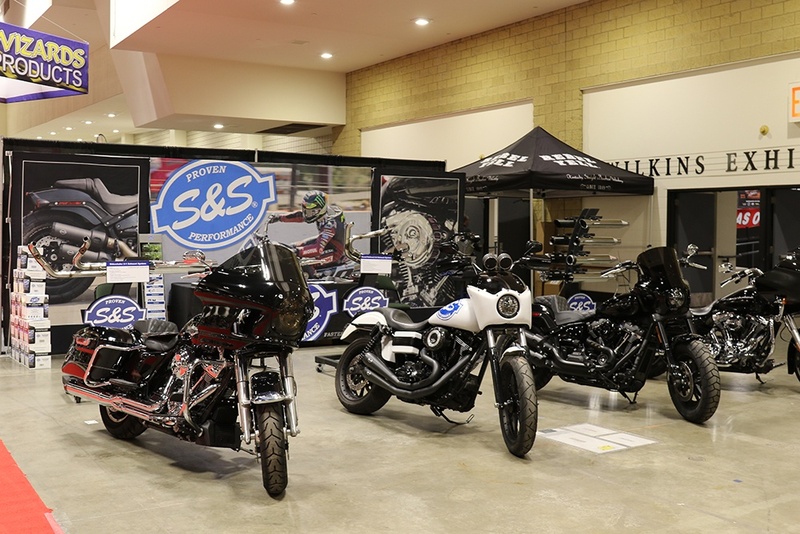 I decided that in addition to attending as S&S, I would also participate in the bike show with my own ride, and if you're considering showing your bike, DO IT! 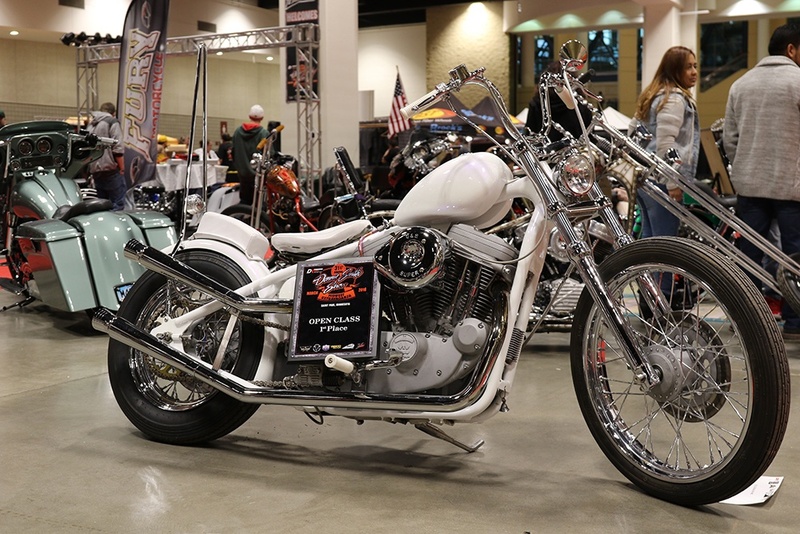 It's pretty fun to see people checking out your bike, and keep in mind, I'm there to shoot photos of all the bikes in attendance, so if you're rocking our parts, I'll probably shoot some photos and share them! On with the show.. after a great night at the War of the Twins Indoor Flat Track race, I was pumped to check it out. Walking in the River Center, you head down a set of stairs and are ambushed with a ton to see. 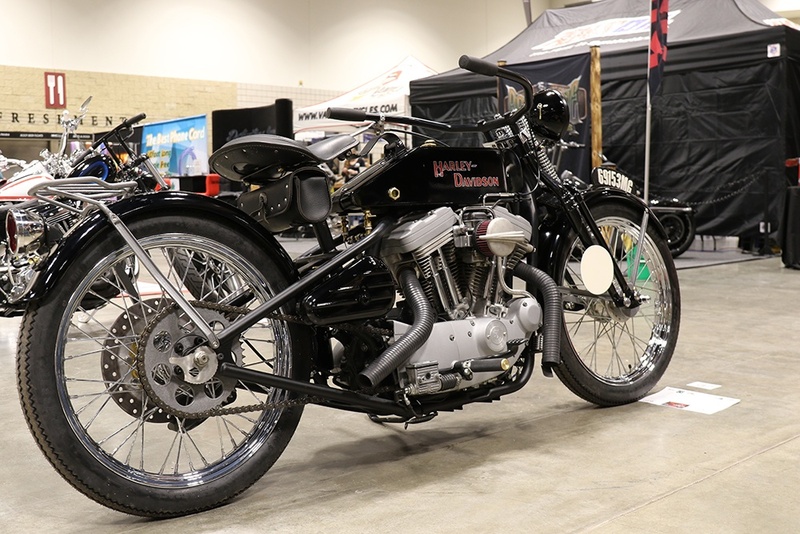 Multiple sections of bikes included the Pro Class and various Open Class sections, from big wheel baggers, to shovelheads, bobbers, Indians and more. 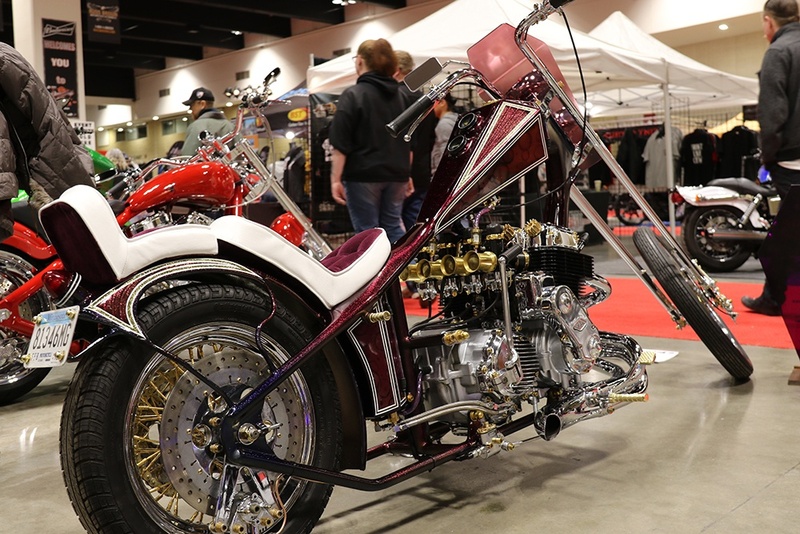 The Pro class included the best of the best, from a vicla style ride from Klock Werks to an S&S powered and turbo'd big wheel bagger from Hoffman Designs, to a turbo shovelhead from Cabana Dan! Open class included a number of styles, from WILD to somewhat mild - nothing in the building was stock! 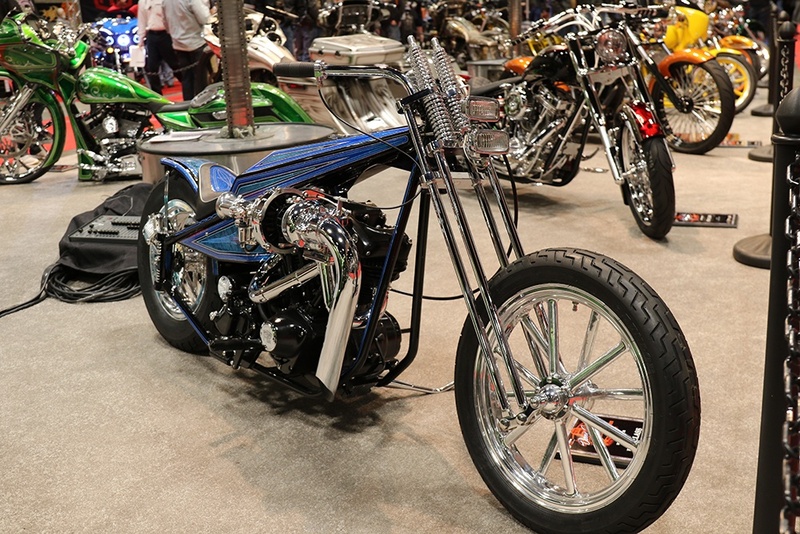 From crazy metric choppers sporting Harmon front ends, to a drag bike built by Kevin "Teach" Baas and his high school class - who also brought out a KN powered chop the class is currently building, with a little help from Sugar Bear and one of his incredible springer front ends. 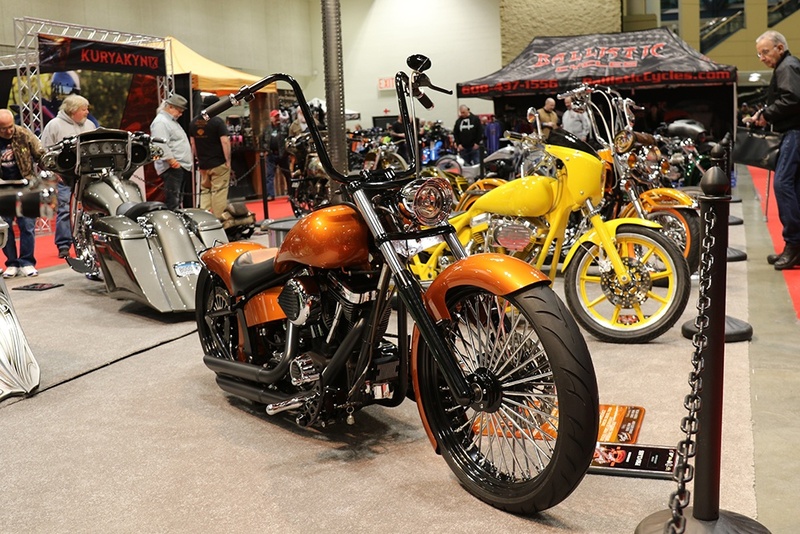 Sugar Bear himself made an appearance at the Metzeler booth too, promoting his new Chopper Museum in progress in Sturgis. 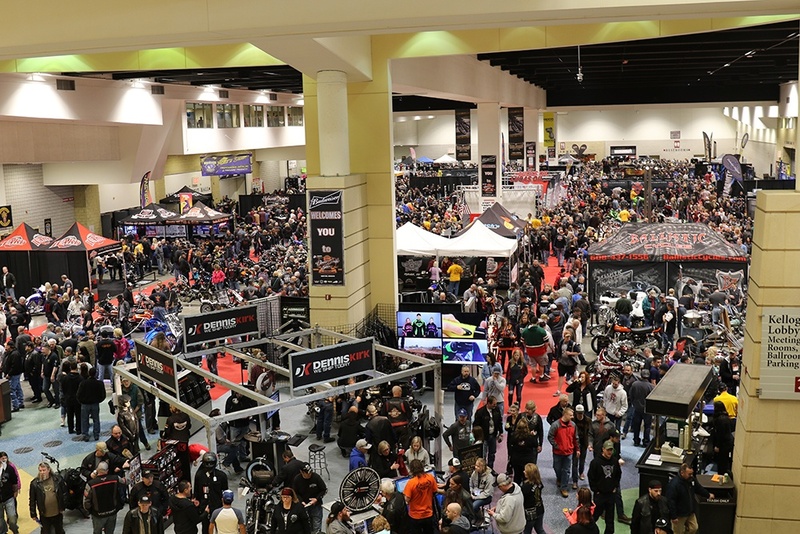 Walking in to the show - Saturday was PACKED! 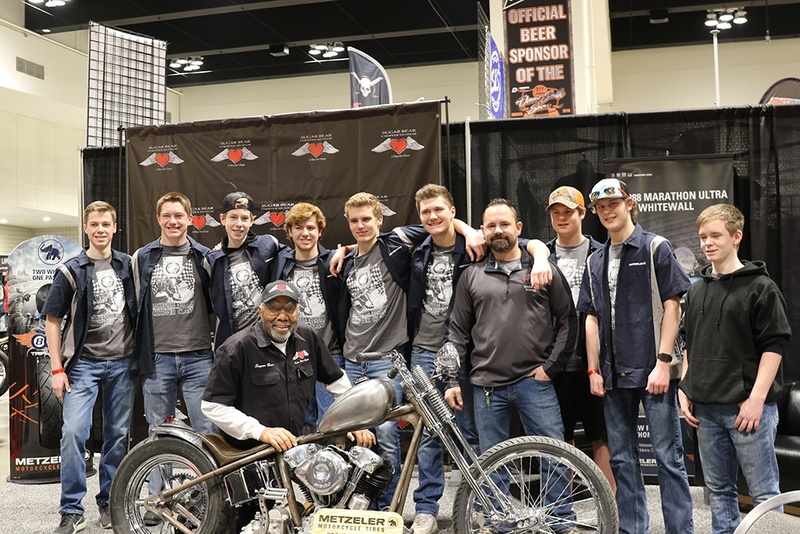 Teach's high school chopper class and Sugar Bear himself pose with their current build. 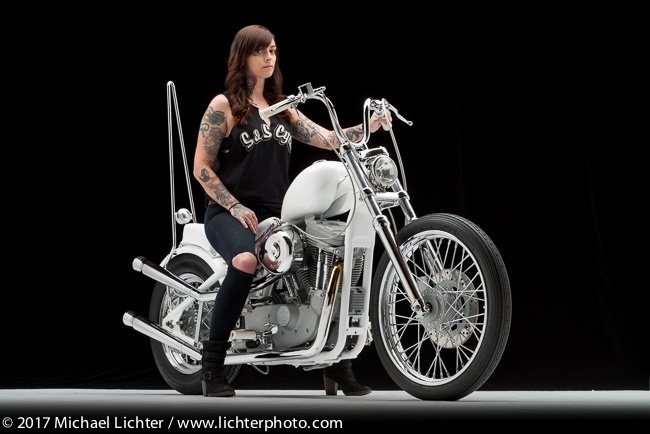 How cool is it that a high school shop class builds a KN powered chopper with a Sugar Bear springer?? 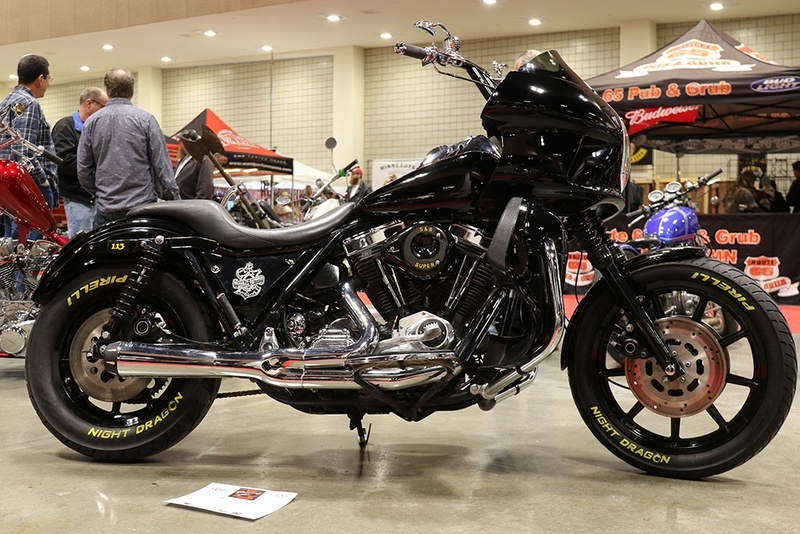 A number of motorcycle shops came out to represent, like Those Dyno Guys who brought out a HD® Dyna® sporting our new 2:2 exhaust, Hoffman Designs who rolled out their cool custom 124" powered bagger, Vanilla Cycles repping their flat track goods, and so many more. You could also get a chance to meet and talk to Donnie Smith himself, who spent most of the day at his booth. It's great to talk to him and hear his stories of how things were, and he's definitely a legend! 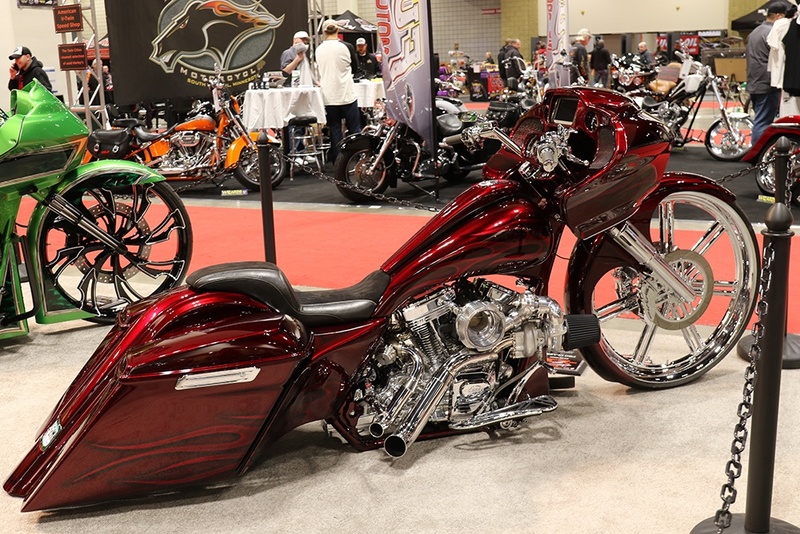 Have you ever seen a bike with a steering wheel, foot throttle and suicide shifter mounted clutch? Well now, you have. 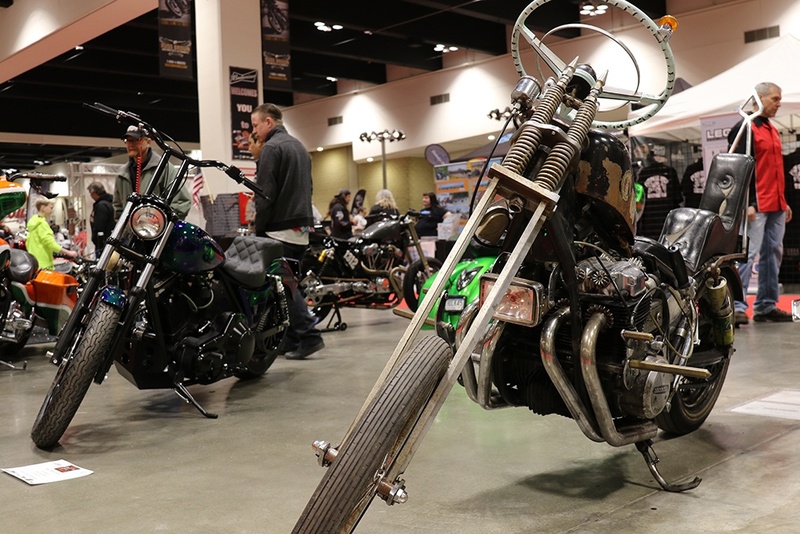 The show lasted two days, which gave you time to check out the downstairs bike show, upstairs boasted a car show, and even further up on the 3rd floor was a tattoo convention! Combined with the races, and the lure of the downtown area of St. Paul, it made for an incredible weekend. 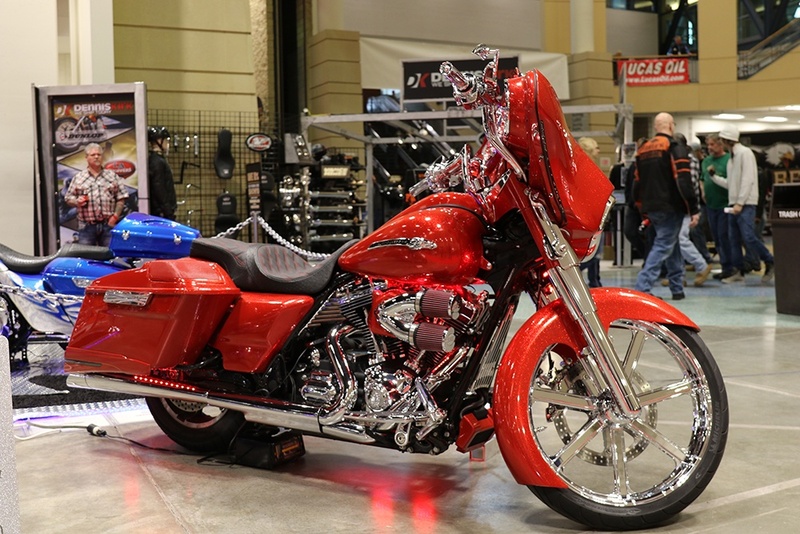 Oh, and the cool part about putting your bike in a show? You might win an award, and I am humbled to say I won an award in the Open Class! 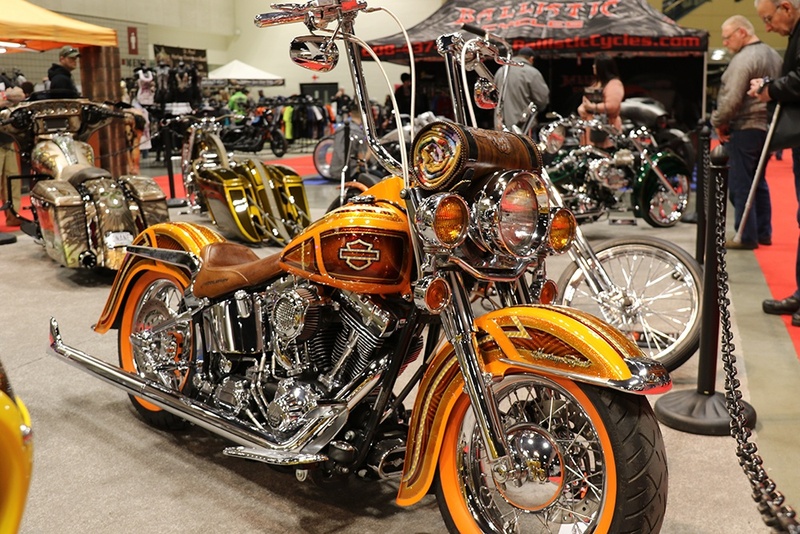 I highly encourage you to roll your bike out next year and give it a try. It's great to see the little custom touches everyone includes on their scooters, and if you've got S&S parts, you could get featured!